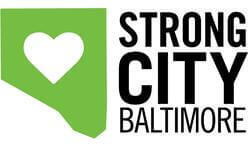 Strong City Baltimore’s mission is to build and strengthen neighborhoods and people. Strong City works to reinforce the pillars of vibrant urban living: safe streets, desirable and diverse housing stock, quality public schools, a robust and educated workforce, and above all else, a deep sense of civic engagement. Much like the neighborhoods we serve, our programs are interconnected and bolster our holistic approach to fulfilling our mission. AmeriCorps VISTA – AmeriCorps VISTAs (Volunteers in Service to America) commit a year of their lives to fight poverty in America. With more than three decades of experience in recruiting, training, and managing AmeriCorps members, and currently sponsoring 45 members in service, Strong City has become the single-largest sponsor of AmeriCorps VISTA positions in the state of Maryland. We believe that AmeriCorps VISTAs are integral to positive community development and we work to invest in their futures. We leverage our resources and expertise to build, develop, and support the capacity of Maryland’s change makers. Schools and Neighborhoods – We focus in lower income and middle market neighborhoods to improve the overall quality of life in Baltimore. Our strategies to strengthen these neighborhoods include improving public schools, facilitating private and public investment in neighborhoods and commercial corridors, and developing neighborhood leadership. Adult Basic Education – We provide free classes to over 600 adults annually in Adult Basic Education as well as English for Speakers of Other Languages (ESOL). Non-Profit Business Services – We fill a variety of administrative needs for organizations engaged in charitable activities. These services range from basic fiscal sponsorship to full back office support; fundraising and communications; human resources, benefits, and payroll management; and legal and technology support. The 29th Street Community Center – The 29th Street Community Center (29SCC) was born out of a thoughtful and thorough community visioning process. This undertaking dictated what programs wo29th-StComCenter_Final-Logo_coloruld take place in the space, based on the community’s needs and wants. Strong City took great efforts to ensure all members of the diverse community surrounding the Center participated equally. The 29SCC is a truly remarkable space run for and by the community. Currently, over 78 percent of the programs are resident led. For more than four decades, Strong City has secured the resources of AmeriCorps VISTA members to not only build sustainable change and fight poverty, but to also develop and support emerging nonprofit and community leaders. Strong City acts as an intermediary sponsor and leverages the Cohort model to build a network of resources and support for service members and sites alike. Strong City engages the VISTA Cohort in monthly professional development meetings and technical training to facilitate growth that will carry members not only through their projects, but also through their chosen career paths. Strong City invests in each member and their potential to create both internal and external chance. Cohort members serve at nonprofit organizations, religious institutions, and government agencies to address poverty through Education, Economic Opportunity, and Healthy Futures. Strong City's 27 Cohort members are currently serving in Baltimore City, as well as Anne Arundel, Howard, Montgomery, Prince George’s, and Washington Counties.